It's no secret that I have perpetually chapped lips. I do get quite a number of lip balm samples but I hardly have the time to use them. I guess that's a better excuse then to admit that I'm too lazy. Anyway, when I first read about the Forever Living's Aloe Lips being labelled as an unofficial first aid kit, I admit that I was slightly puzzled. Then it dawned upon me that you could apply this on anywhere of your skin whenever you had a scrap, burn, insect bite, cut or sore. 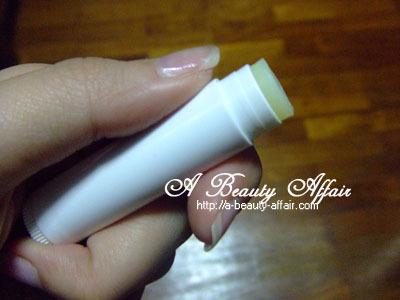 Yes, this not only handy but extremely useful tube is more than a lip balm that will moisturize & soothe your chapped lips. However, it does sounds unhygienic if you use this on your lips and your injured bits, right? What I would suggest is to get 2 of these, 1 specifically for the lips and 1 for the other nicks & cuts. Aloe Vera is known to have powerful healing properties and Forever Living's Aloe Lips contains this soothing ingredient that is so amazingly beneficial to injured skin. 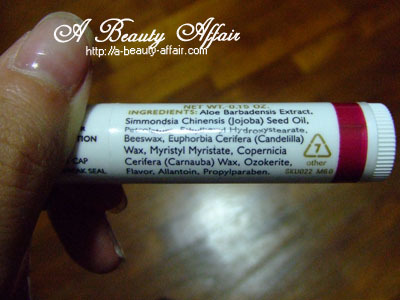 Aloe vera extract, jojoba oil, beewax and allatoin can be found in this tube of balm. 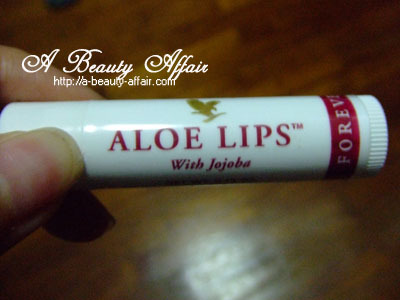 It has a slight sweet scent which I kind of relish and this balm keeps my lips moisturized in the air-conditioned office and back at home too. 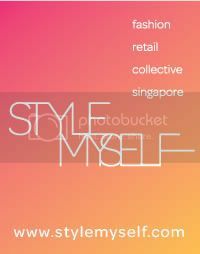 So do check out this amazing product. Grab yours from VINCI LIPGLOSS blogshop now!